Home » »Unlabelled » This father threw his 11-month-old child from the fifth floor. What passersby filmed has been seen around the world. 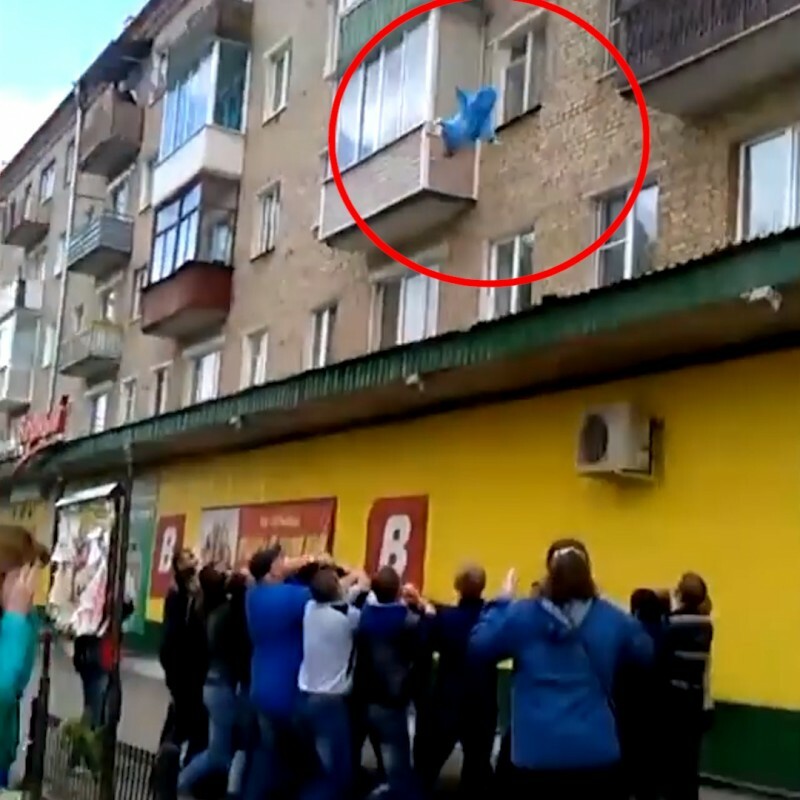 This father threw his 11-month-old child from the fifth floor. What passersby filmed has been seen around the world. Helena and Vitali Balabanov from Strunino, Russia, experienced something that is every parent's nightmare: they had to risk their children's lives. 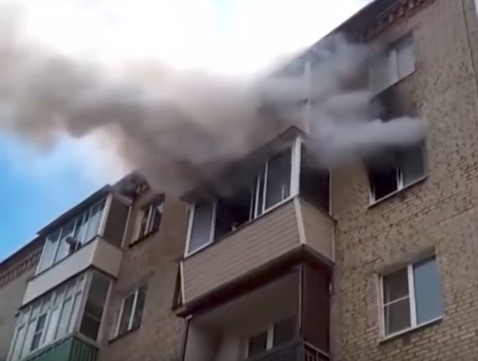 The couple were at home with their two kids, three-year-old Ksenia and 11-month-old Egeni, when they suddenly smelled smoke. A fire had broken out in their neighbor's apartment and was quickly engulfing the entire floor. Their neighbor had managed to escape, but by the time Vitali realized what was happening and opened the door, the stairwell was on fire. The family was trapped! The Balabnow family had no other choice but to jump from the fifth storey of their building. Vitali took a rug and threw it to the people on the street passing by so they could use it as a rescue net. Some of the witnesses filmed the dramatic scene. Ignoring the frantic calls of "Don't throw them!" from the people below, Vitali threw his youngest child into the makeshift rescue net. Then he grabbed Ksenia and flung her from the balcony as well. 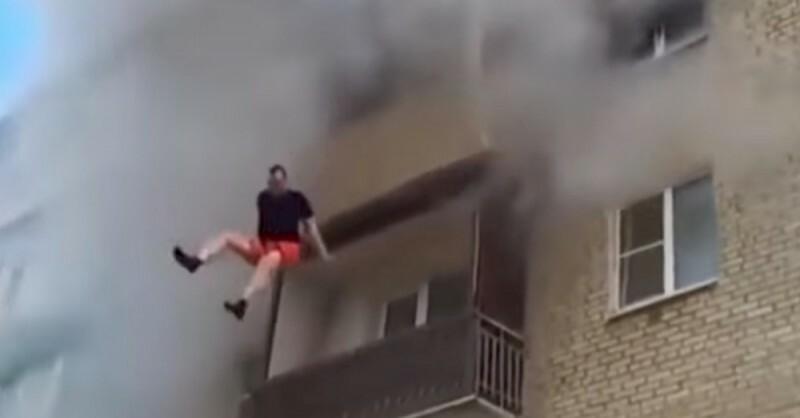 Vitali waited for his wife to jump and then took the plunge himself. Thanks to the courageous people on the street, the children and their mother came away from the incident unscathed. But Vitali wasn't so lucky — the fall ended up injuring his spine and he had to spend a few days in the hospital. In the end, however, the whole family was saved by this amazing rescue action and they're very grateful to all the people who stopped to help them in their time of need.